Reasons why you should consider a business owner’s policy. As a business owner, you are kept busy every day. You are imperative in the success of the business and often take on many roles within the small business. An important part of protecting the livelihood of your business is securing reliable insurance. To make your life easier, consider a business owner’s policy, otherwise known as a BOP. 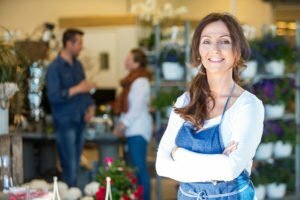 A business owner’s policy is a type of property and liability insurance often bought by owners of small to mid-sized businesses to protect against certain losses. A BOP bundles different insurance policies together so that the business owner can enjoy several coverages under one policy. Business owners like the fact that they have less paperwork, policy dates, and coverages to navigate. A BOP is typically cheaper than purchasing each of these coverages separately, too. What’s included in a BOP? Commercial property insurance – Covers losses to property from common perils. It also covers office equipment, furniture, inventory, machinery, and anything else that is vital to business operations. General liability insurance – Provides coverage for bodily injury and property damage to third-parties. It helps to cover attorney fees and medical bills for anyone injured by the company. Business interruption insurance – Reimburses for loss of income if a covered disaster interferes with the successful operation of the business. Even though you can often customize your BOP, there are certain types of coverages that are not included, which you must purchase separately. Typically, workers’ compensation insurance, commercial auto insurance, and cyber liability insurance are not included. For such protection, you must purchase separate policies. Get started on your business coverage by contacting the expert insurance agency in Fresno, McCarty Insurance Agency. We provide reliable business insurance to suit all of your company’s needs so that you can feel rest assured your investment is protected.